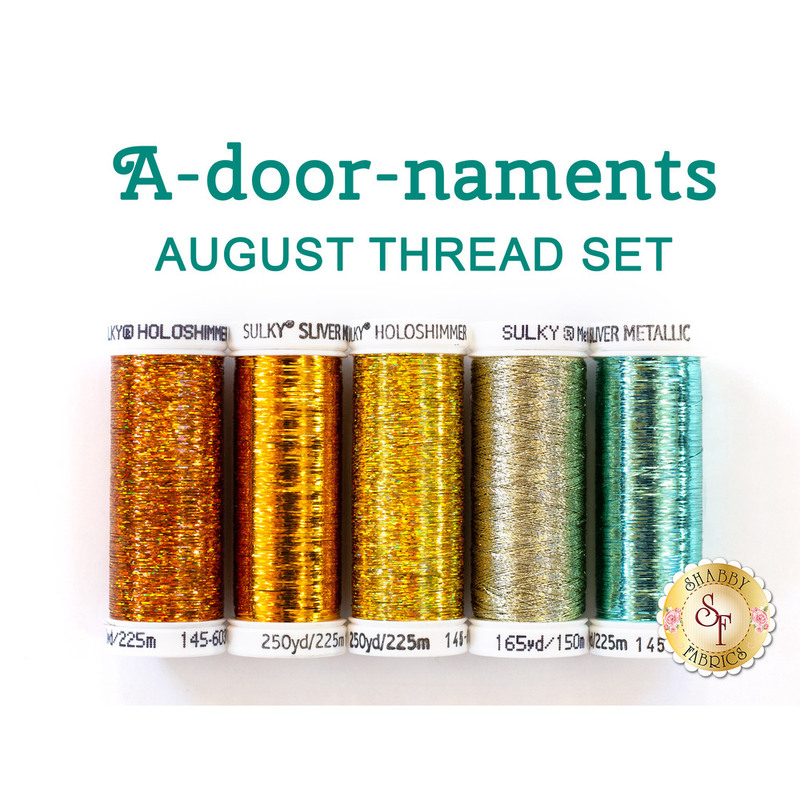 This 5 piece thread set has been carefully selected to add beautiful metallic sparkle and shine to the A-door-naments Sunflowers - August Kit! These threads are wonderful for any project that needs that extra special metallic touch! Be sure to use the Schmetz Needles and the Thread Director to help prevent breaking and shredding of your metallic threads!